I4 industrial printers are constructed with an all-metal frame to inherit the beauty of durability and reliability. 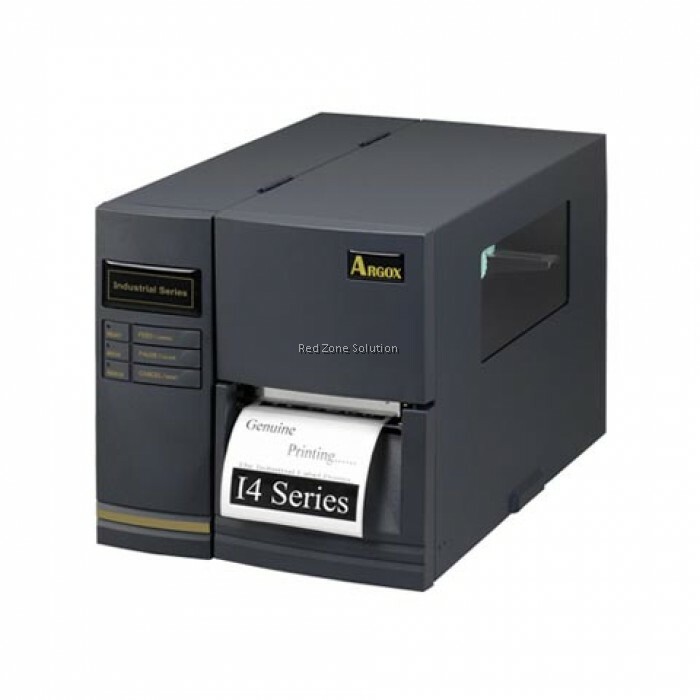 I4 series have wrinkle-free design, apply automatically to both Inside wound ribbon and Outside wound ribbon, and feature full support of interfaces - Dual USB hosts, Serial, Ethernet, and Wi-Fi can be expanded to fit in all type of applications. I4-series industrial printer - UP to 8 IPS, 33% faster than previous models. It can deliver much smoother printing process and maintain top printing quality under high speed. I4-series Industrial printers have dramatically improved on software funcitons. New feature “one-key media positioning” consists by Intelligent Print Mode and Smart Print Mode, will greatly improve media detection and reduce wasted labels. Once I4 series printer is powered on - It will have emulation auto detect function, between PPLA, PPLB, and PPLZ. Media Max. width:4.4”(112mm). Min. width: 1” (25.4 mm). Thickness: 0.0025”~0.01” (0.0635mm~0.254mm) 8”(203mm) OD on a 3”(76mm) ID core. 7”(177.8mm) OD on a 1.5”(38mm) ID core.